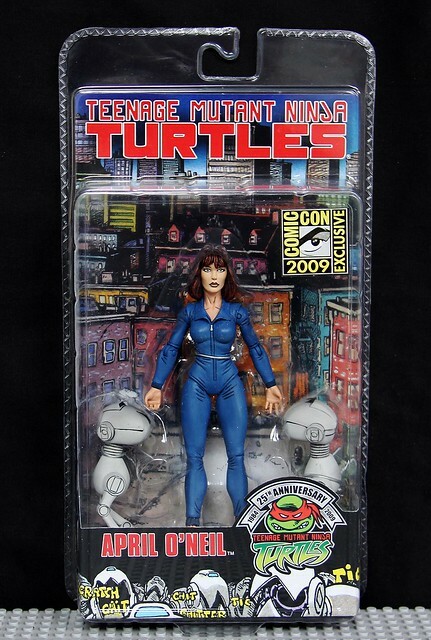 What TMNT Figures Did You Get In The Mail Today? Its not a figure, but I received the "Hun on the Run" 4kids DVD today, and it did NOT come with its complete jewel case: just the insert and disc in a separate envelope. The package felt unusually thin when I saw it arrive in the mail today, and all it was covered in was a bit of newspaper. I flagged the seller (kevlor59) for it being not as described and hope for a partial refund. Unfortunately, he didn't refund. All the description said was "used". Hopefully I'll find a blank case to place it in, but I gave him a neutral since he does need to understand that DVDs should come with their case, and the photo was deceptive. Last edited by pannoni1; 01-18-2013 at 03:38 PM. 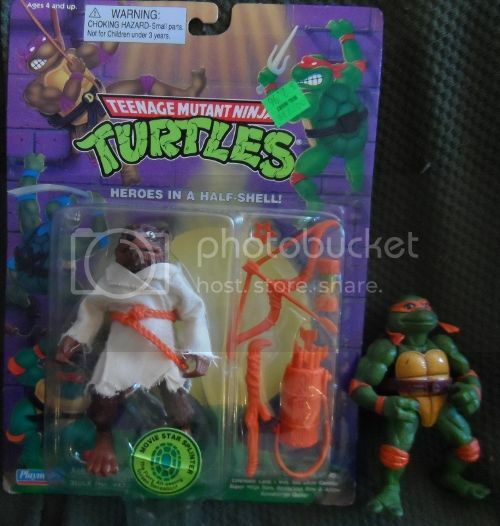 Also, I could have swore as a child, Raph's belt on the back, the "pocket" was open on the bottom. Mine isn't. Not a big deal, and maybe I'm wrong. Which two turtles do you need? I'm waiting on Storage Shell Mike (near complete) and several other figures to come myself today. Got the Sewer Cruiser & Drop Copter in the mail from Playmates through Amazon today. I received the rest of my Playmates through Amazon order today. Anchovy Alley & Shellraiser, both for my Nephew. Also I got both sets of buggies & the Flinger's. I'm not sure I'm going to keep the Flinger's yet. I got HotHead loose and complete mint today! 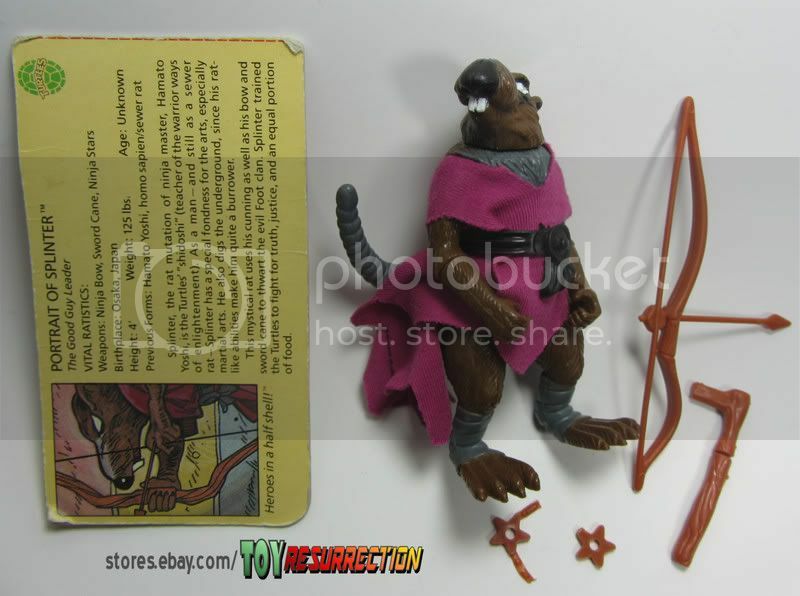 I always wanted to get him. I got 40 loose figures complete with all their accessories. 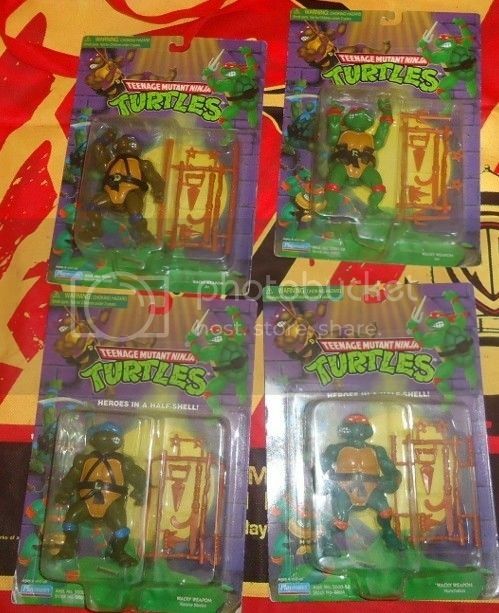 7 unpunched carded minty figures. 11 carded figures but the cards are really wavey. A complete killer bee and needlenose with their boxes for $150 shipped to me. Not a bad haul!!! So glad they finally arrived. I got a misb hydro skimmer.